Former Liverpool goalkeeper Loris Karius is now on a two-year loan at Besiktas and recently made his debut for the Turkish club. The German shot-stopper's mistakes in the Champions League final between Real Madrid and Liverpool in May were scrutinized and criticized for a long time and will likely remain in the minds of football fans for years to come. Karius' mistakes in the Champions League final saw the Merseyside team lose 3-1 in Kiev. His two errors - allowing Karim Benzema to score the first goal and Gareth Bale to score the third- played a vital role in the Reds' loss to Real Madrid. The mistakes, together with one made during the pre-season against Tranmere Rovers, prompted club manager Jurgen Klopp to break the world record fee for a goalkeeper by signing Roma's Alisson for €62.5 million. Karius decided to leave Liverpool following the signing of Alisson, and as a result, Turkish side Besiktas signed the German on a two year loan deal. The 25-year-old made his debut for Besiktas on Sunday night as the Turkish side took on Bursaspor. Karius pulled off an impressive one-on-one save, but a late equaliser from Diafra Sakho meant the game 1-1. 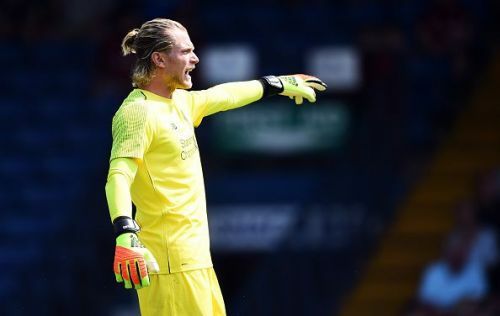 Karius was believed, by some Liverpool fans, to have been at fault for the goal that his side conceded. The German's team were 1-0 up but his decision to come for the ball to claim the cross cost his new club all three points. Karius failed to reach the ball, and found himself in no man's land. Former West Ham forward Sakho took advantage of the situation and turned the ball home for Bursaspor. Karius still making mistakes. Looking completely clueless. Feel sorry for Karius more than anything. He’s ruined by what happened in Kiev and I’m glad his rehabilitation isn’t happening by starting for us but the whole situation is just sad. stop this crap against the poor guy. I think here's a miscommunication between the defender and the keeper. Why throw everything at Karius? Besiktas host Yeni Malatyaspor on September 16, before beginning their Europa League group campaign. Liverpool: Which loanees have a future at Anfield?